Barbara Delinsky's 1998 bestseller, COAST ROAD, featured a heroine who was a breast cancer survivor. To this day, it is the book that generates more mail than any of her others. That fact, combined with Barbara's ongoing commitment to breast cancer research, led her to her first book of nonfiction. Not a medical book -- there is no discussion of the pros and cons of a particular treatment or hospital or doctor -- UPLIFT is rather a collection of hundreds of pieces of practical and inspiring tidbits collected from survivors and their on everything from what kind of deodorant to use during radiation treatment to the best kinds of exercise aftloved ones. Think of it as "The Girlfriends' Guide" to breast cancer, with hints on everything from what kind of deodorant to use during radiation treatment to the best kinds of exercise after a mastectomyÂ to how to tell the person you're most afraid to tell that you have cancer. The Hugo Award-winning SF saga is now available in one complete trade paperback edition, containing Cyteen: The Betrayal, The Rebirth and The Vindication. 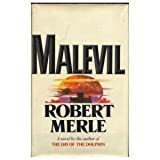 "A psychological novel, a murder mystery and an examination of power on a grand scale, encompassing light years and outsize lifetimes".--Locus.